Last July 2016, I was at the Thomas & Mack Center in Las Vegas for the NBA Summer League. With all the purple and gold jerseys around the arena, I knew one thing was certain – Las Vegas is Lakers territory. Not only is Nevada just a 4-hour drive from the City of Angels (minus the traffic, of course), but also because they are the Los Angeles Lakers! Everyone either loves them or hates them. 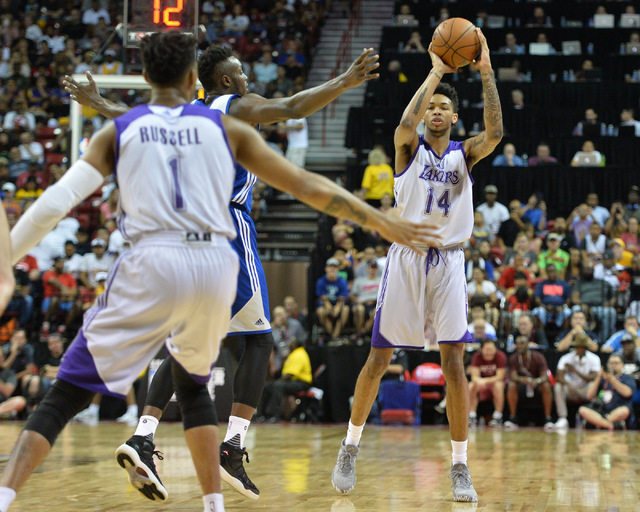 The Summer League was my first look at the Baby Lakers – a new era for the franchise leaning on youth development. With D’Angelo Russell and Brandon Ingram leading the team, the young core was on display for the whole tournament. Russell had an impressive outing, with splits of 21.8/6.3/4.0, and hitting a buzzer beating three against Philadelphia. Ingram, the lanky forward from Duke, struggled with the physicality of the game but his upside was clear. Guys like Larry Nance, Jr. and Ivica Zubac provided energy on the court. Overall, fans in the arena knew that the mini-success of the Baby Lakers in the tournament did little to mask the sad truth about the team – it lacks enough talent to compete in the NBA. For a franchise that has been so accustomed to winning, the current generation of Lakers were miles away from contention. During the free agency period, the team missed out on Kevin Durant, a guy who could carry them to the playoffs, Al Horford, a guy who might carry them to the playoffs, and Hassan Whiteside, a guy who won’t carry them to the playoffs but would still be an exciting addition. Instead, the management settled on giving a combined 4-year $137 million contracts to both Luol Deng and Timofey Mozgov. Wait, let me put that in all CAPS, italicized, and bold to further emphasize how absurd that sounds. THE MANAGEMENT SETTLED ON GIVING A COMBINED 4-YEAR $137 MILLION CONTRACTS TO BOTH LUOL DENG AND TIMOFEY MOZGOV. A young core mixed with past-their-prime veterans was the Lakers’ attempt to mirror the Golden State Warriors. They already had the right coach in Luke Walton, an understudy of Steve Kerr, to implement the system. They just needed the right players. By signing Mozgov, the Lakers thought they found their Andrew Bogut – a big man who could make defensive stops and have the ball moving through screen and rolls. By getting Deng, they thought they found their Andre Iguodala – a veteran forward that could play a small ball four and defend the other team’s best player in critical moments. But paying $137M to find Bogut-Iguodala-like players is simply too much and the acquisitions provided more questions than answers regarding the team’s direction. 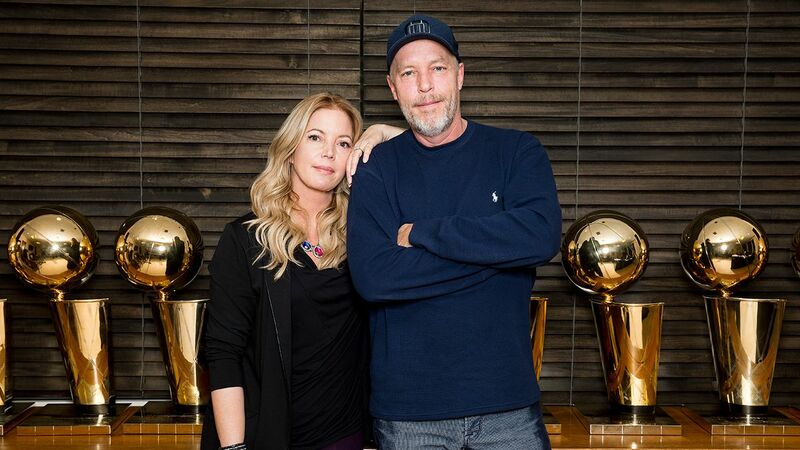 The signings also further divided the Buss siblings, Jeanie (Team President) and Jim (VP Basketball Operations), as they continued their tug-of-war battle to control the franchise that their father left them. Think of it as the sports version of Game of Thrones. Once the season began, the Baby Lakers managed to surprise everyone and were off to a 10-10 record, beating Atlanta, Houston, and even Golden State in the process. Everyone in LA loved basketball so much that it became their motto for the season. Walton’s new ideology and motion offense was felt around the team in the early part of the season. According to The Ringer, five Lakers were averaging north of 12 points, but no one averages more than 18; nine Lakers average more than 20 minutes, but no one eats up 30 per game. It was a polar opposite of the previous season under Byron Scott. But injuries to Russell and Nick Young, and a sudden lack of cohesion on the offensive and defensive end resulted to a 4-16 record in their next 20 games. LA was heading for another lost season and on the verge of missing the postseason for the 4th straight year. Jeanie Buss knew a change was needed. 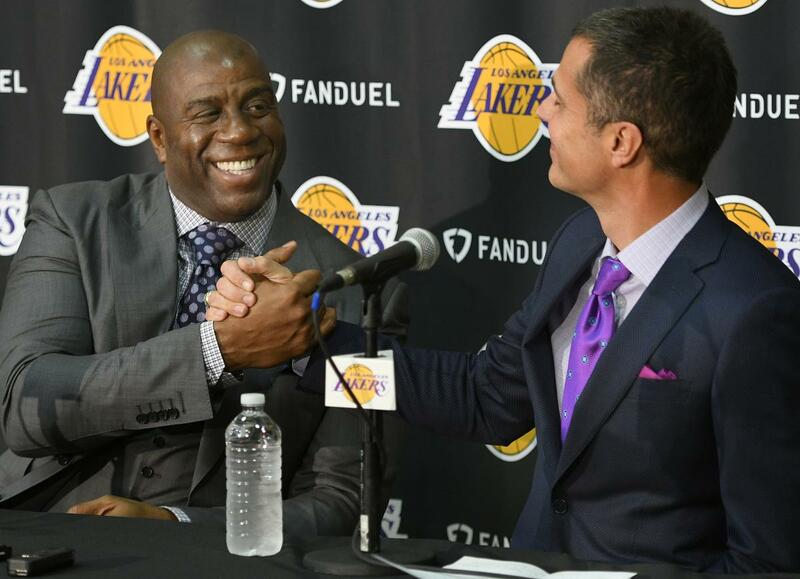 The hiring of Laker legend Magic Johnson as team adviser on February 2 was the start of the inevitable front-office shakeup. Three weeks after the hire, Jeanie fired his own brother as VP of Basketball Operations and promoted Johnson to the position. Longtime GM Mitch Kupchak was also replaced by Rob Pelinka, a move that was reportedly influenced by another Laker great – Kobe Bryant. With issues in the front office now settled, it was time for the Lakers to build towards the future. The first step? Acquiring draft picks. Outside the Lakers youth core, veteran Lou Williams had the highest value on the team. Lou was leading the team in scoring (18.6) and would help a contender come playoff time. In his first move as a team executive, Johnson traded Williams to the Houston Rockets for Corey Brewer and HOU’s 2017 1st round pick (since the Rockets finished the regular season with the 3rd best record, that pick will be the 28th selection). That gives the Lakers a backup plan whatever happens with their own 1st round pick in the 2017 Draft. Due to the disastrous Steve Nash trade in 2012, the Lakers are paying the hefty price of rebuilding with strict draft protections on their own picks. In the 2016 Draft, the Lakers 1st round pick was top-5 protected; if the pick fell outside the top 5, they would give it up to the 76ers (they were able to land the 2nd pick and drafted Ingram). In the upcoming draft, the Lakers’ pick is again protected, this time as a top-3; if that falls out of the top 3, the 76ers will get the pick. It gets weirder for LA. Due to another disastrous 2012 trade involving Dwight Howard, the Lakers will owe the Orlando Magic an unprotected 2019 first round pick if they don’t land the top 3 pick this year! If the Lakers land the top 3 pick this year, they’ll owe Orlando a pair of second-round picks. That’s not all. No matter what happens with their pick this draft, the Lakers will have to give up their 2018 1st round pick to Philadelphia. Somebody please give Sam Hinkie the Nobel Prize for trusting the process. Ok, so now that we have all the stipulations out of the way, let’s focus on the most important question: What are the odds of the Lakers keeping their 2017 1st Rd pick? At the start of April, the Lakers (21-55) had the second-worst record among all teams. That gave them a 55.8% chance of keeping the pick. That was until the team forgot how to tank and somehow ended up winning 5 of their last 6 games, including an upset victory on the road over the San Antonio Spurs. Their current odds of keeping the pick? 46.9%. The top-3 pick is the first step on rebuilding the Los Angeles Lakers, especially with the 2017 NBA Draft being considered as one of the deepest pools in recent memory. The 2017 class is headed by Markelle Fultz and Lonzo Ball, two can’t miss superstars in the making. Fultz, whose Washington team failed to qualify in the NCAA tourney, didn’t have the luxury of being under the spotlight like the rest of his peers. But scouts continue to rave about him for being a complete player, having the ability to be effective with or without the ball, and being a competitor that can control the pace of the game. With great size (6’6″), tremendous court vision, and fresh off leading the nation in assists, Lonzo is the perfect point guard to have in the current uptempo game in the league. And his desire to be a Laker is well documented. In an interview with CBS Sports, Lonzo admitted that he’d rather wear the purple and yellow jersey than be the 1st pick in the draft. But how does he fit in with D’Angelo Russell, another point guard who needs the ball? Simple – by moving Russell to the shooting guard. Back in December, the Lakers were already trying out Russell at the 2-guard while Ingram was given the keys at the point. They did the same thing against the Cleveland Cavaliers in March, when Walton decided to move Russell back to the shooting guard position and Clarkson at the one. D’Angelo responded with the best game in his young career, scoring a career-high 40 points but ultimately lost the game (because, well the Lakers were tanking). A Lonzo-D’Angelo backcourt could prove to be a formidable one with both players having the ability to score off screens, shoot from the outside, while also handling the ball. Welcome to positionless basketball. The rebuilding process doesn’t stop there. As the Lakers enter next season without a first round pick in the 2018 NBA Draft (again, they have to give it up to 76ers with no protections), the team will have to be competent enough that the pick they’ll lose won’t be so high. Without any valid reasons to tank next season, Lakers would need to provide immediate results and aim for a playoff spot. And Paul George might just help them get there. At 27 years old, George continues to be one of the most complete two-way player in the game today. He has gone toe-to-toe with LeBron James on numerous occassions, including a mano-a-mano shootout they had last month in Cleveland, in which the King (41/16/11) outlasted PG13 (43/9/9). The problem is that the Indiana Pacers aren’t going anywhere in the ever improving East. The Pacers struggled mightily with injuries to Thaddeus Young and Myles Turner hitting the sophomore slump. They held on to the 7th seed before getting swept by the Cavaliers. George was a hot commodity during the NBA Trade Deadline and was heavily pursued by the Boston Celtics. As reported by NESN back in February, the Pacers were willing to trade George for “3 of 4 from group of Avery Badley, Jae Crowder, Marcus Smart, and Jaylen Brown plus the 2017 Nets pick.” Boston didn’t want to include the Brooklyn Nets pick as they weren’t confident on George signing a long-term extension. George will be entering the last year of his contract that pays him $20.7M and will be a free agent after next season. To increase the chances of retaining him, the Indiana Pacers are hoping that Paul George gets voted in any of the All-NBA team in mid-June, which would allow the team to offer the designated player extension. Under the DPE clause, if PG13 gets voted in, the Pacers can offer him a 5-year $212M contract, which would be $70M more than any team (including the Lakers) can offer. More money doesn’t always mean that the player will stay (see Dwight Howard’s 2013 free agency with the Lakers) but the Pacers would at least have a fighting chance to keep George and continue to build around him. Here’s the thing though – Can Indiana improve their roster to help George compete in the East? The Celtics have the right mix of talent, picks, and enough cap to sign a star (Gordon Hayward maybe?). The Raptors have two stars to build on with DeRozan and Lowry. The Wizards are finally figuring out what they have with Wall and Beal. And the Cavaliers still have the greatest player in the game today. Meanwhile, the Pacers will have $32.6M in cap space and could spend most of it to retain their second best player, Jeff Teague. They were discussing deals back in February to acquire Jahlil Okafor (76ers) and Brooklyn Lopez (Nets) but failed to gain any traction. Unless Turner develops into the best center in the East, the Pacers might continue to struggle in their own conference. The decision of Larry Bird to resign as team president a couple of days ago only provides a murky future for Indiana. On the otherhand, the Lakers present a fresh start for the California native. Magic hasn’t been shy regarding his plans to acquire PG. In an interview with Jimmy Kimmel, Johnson was asked what he would do if he saw Paul George while on vacation. Magic’s answer? So how can the Lakers possibly pry George away from the Pacers? Two options. Option A – Trade for him. If Paul George is “hell bent” on going to the Lakers, then it would be better for the Pacers to get something in return instead of losing him for nothing. As Indiana shifts their attention to Myles Turner, surrounding him with young talent to speed up the rebuilding process is a must. Are the Lakers willing to let go of Clarkson + Randle + the 2017 1st Rd pick for PG? Or how about a Randle + D’Angelo Russell + Ingram package? Or why not go to Option B – Sign Paul George in the 2018 Free Agency. In 2011, Carmelo Anthony was forcing a move to his hometown New York Knicks. Instead of waiting for the free agency, the Knicks chose to go all-in and acquire the troubled forward from the Denver Nuggets, trading away Wilson Chandler, Danilo Gallinari, Raymond Felton, and Timofey Mozgov. Since the trade, Anthony and the Knicks have struggled to find any postseason success and are bound for a messy breakup this offseason. The Lakers could choose to wait for Paul George in the 2018 free agency where they will have ample cap space to sign him to a max contract. Spotrac projects that the Lakers will have around $40M in cap space, enough to sign George to a max contract and even extend Randle. Signing George would prove to be the logical choice to make. But trading for Paul as early as next season gives the Lakers enough cap to work around and sign another superstar in 2018, the same year that DeMarcus Cousins could again be available (assuming his tandem with Anthony Davis in New Orleans doesn’t work). Just imagine a lineup of Ball-Russell-George-Randle-Mozgov, with Clarkson, Nance Jr., Zubac, Ingram, and Deng available off the bench. Or maybe a Ball-Russell-George-Nance Jr-Cousins with Zubac, Mozgov, Deng, Ingram, and DAVID NWABA in 2018? Sure, it doesn’t scream “NBA Champions” anytime soon. But at least it gives basketball fans enough reasons to love them or hate them once again. After all, they’re the Los Angeles Lakers, a franchise that has always been accustomed to winning. And I’m sure the team is hell bent on going back to the top. This entry was posted in Basketball, NBA and tagged Blog, General Sports, LA Lakers, Lakers basketball, Los Angeles, Los Angeles Lakers, NBA, Sports. Bookmark the permalink.